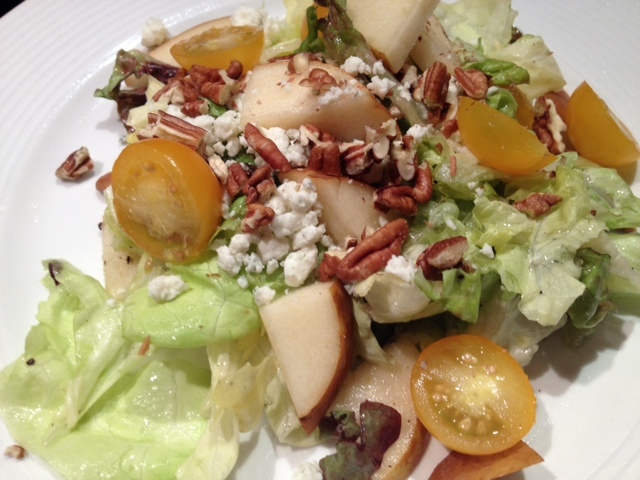 Perfect Pear & Blue Cheese Salad. I love salads, but it is easy to get bored with them. 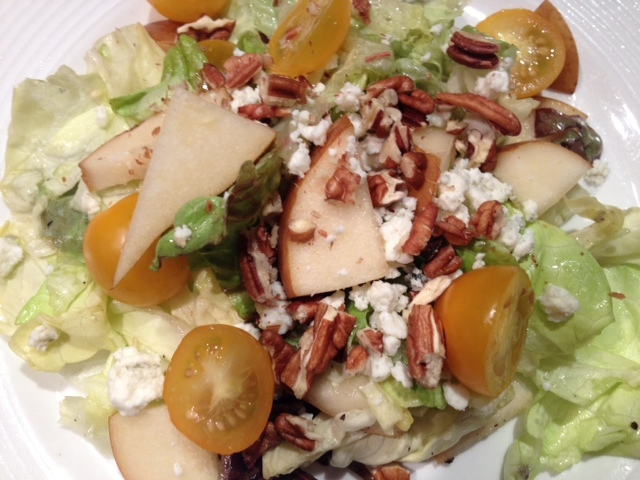 I wanted to get creative with this salad by combining lots of different flavors and textures. It’s sweet, salty, tangy, crunchy, creamy and delightful! It’s great on its own but also would make a great side dish. You could even add grilled chicken or salmon on top to add some protein. You won’t get bored with this salad! 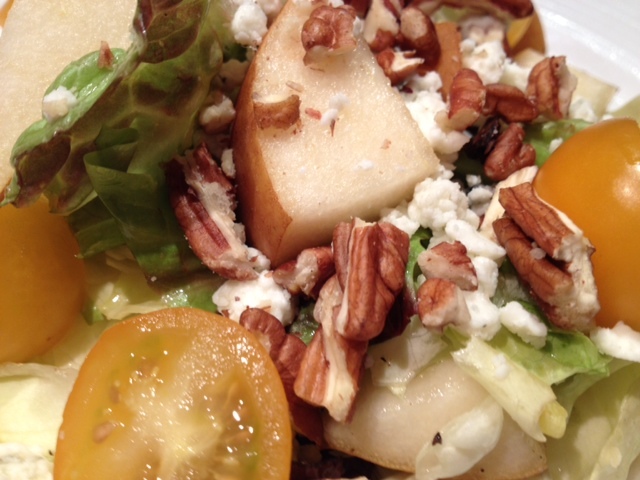 In a large mixing bowl, combine the lettuce, tomatoes and pears. Add in the vinegar, oil, salt and black pepper. Toss well to combine and then plate. 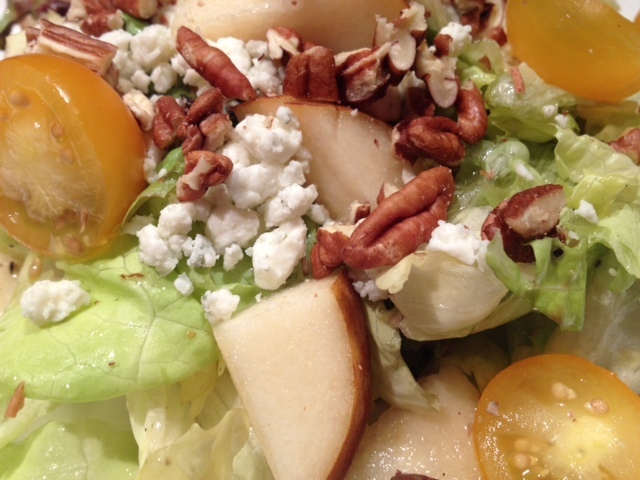 Top with 1 tbsp of blue cheese and 1 tbsp of crushed pecans.